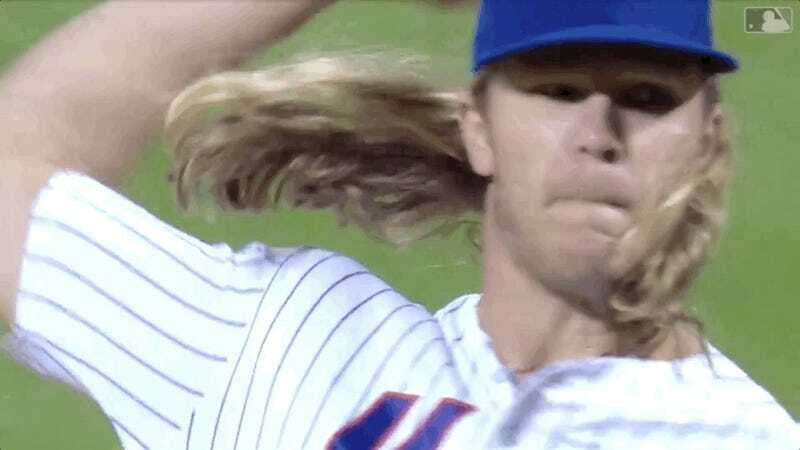 In a turn of events that is both scarier and less troubling than his recent battle with hand, foot, and mouth disease, Noah Syndergaard was nailed in the ribs by a screaming comebacker Saturday night against the Phillies, and had to leave the game. Syndergaard picked up his 11th win of the season, and kept the Phillies’ postseason dreams on the ropes. The Mets should consider shutting him down or perhaps encasing him in thick rubber for the rest of this season, and possibly forever.